Kitchen Manager responsibilities include supporting the Leadership team in all aspects of the restaurant. They work closely with the team members to drive operational excellence and best-in-class Guest satisfaction. Strong Culinary background, along with a desire to engage with the Guests on a daily basis. I love what I do because, after 40 years in the Hospitality industry operations side, I still get to impact people’s lives in a positive way which is why I stayed in the industry for as long as I did. 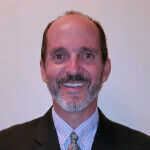 Gary Rumpp joined Goodwin Recruiting in February 2018. Gary grew up in Sun Valley, Idaho and entered the restaurant business when he was 14. Over the course of his career, he owned eight restaurants that he ran for more than 15 years. He also has a strong corporate company background. Gary received his Bachelor of Science (BS) in Hotel/Restaurant Management from the University of Hawaii (Where he might have learned how to surf as well!). Gary has a background of private restaurant ownership as well as working for some of the best companies in our industry such as The Chart House, TGI Friday’s, Outback Steakhouse, and Marriott Hotels. Gary was a Director of Operations level leader for more than 20 years. Gary’s life focuses on his wife (Jacki) of 30 years, his three daughters, and now a new granddaughter. He lives on a ranch in Nashville, TN where he rides his horses and maintains the property, which is his second full-time job!